What is cold laser therapy or low level laser therapy? Cold laser therapy (also known as low-level laser therapy or class III laser) refers to the use of a red-beam or near-infrared laser with a wave-length between 600 and 1000 nanometers and power from 5 to 500 milliwatts. 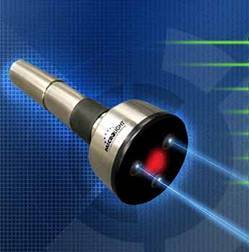 Low-level lasers do not produce heat. In contrast, lasers used in surgery typically use 300 watts and burn the tissues they encounter. It is also a non-invasive procedure, meaning it does not require a surgical incision. What can cold laser therapy be used to treat? Cold or Cool Laser therapy can be used any time a drugless procedure for the control of pain, when conventional therapies have been ineffective, or when the acceleration of healing from injuries is desired. What does a cold laser therapy treatment consist of? For most patients cold laser therapy is quite passive, there are no pulsating shocks, heat or cold. The most noticeable sensation is the light pressure of the probe against the skin but some of our patients may notice a slight warming sensation during the therapy session. Cold laser treatment may last 2 to 20 minutes depending on the severity of your injury and size of the area being treated. Relief from pain may occur after the first visit with most patients noticing a decrease in pain after 4 to 6 visits. When examining functional status or pain, two systematic reviews found that cold laser therapy can modulate the inflammatory process and reduce pain. Give us a call, or fill out t he form on this page to learn more on how Cold Laser Therapy can work for you.